The tram stops here and I get off, darting across the street to the row of shops and pubs on the south side. Here is proletarian Žižkov: three pubs (one big and two tiny); a sweet shop with the pretty, tasteless pseudo-Viennese pastries that Czechs eat only at special events; a small stationery shop; an electrical shop with a jumble of unidentifiable electrical things in the window; a “home stuff” shop with electric tea kettles and some ceramic plates in the window; a household linens shop with some orange towels in the window; the ubiquitous flower kiosk at the end of the row. I hurry into the stationery shop in my endless search for something local and quirky. “Dobrý den,” I say in the proper, hushed voice as I enter. I have been in this shop dozens of times, but still feel like an intruder. The two women behind the counter reply in flat voices, with no hint of friendliness. One woman’s job is to get what you want from the shelves behind the counter, all items being doubly protected from the customer’s eyes and hands. She may or may not allow you to touch the item. If you say you want it, she will hand it to the other woman, who takes your money. All this in a shop about eight feet square. This is how the worker’s paradise provided full employment to its citizens, as well as ensuring their honesty by making people spy on their colleagues. The “behind-the counter” system also make it impossible for a crazed customer to steal anything, thus maintaining law and order. Marek tells me that the clever Czechs got around all these rules by agreeing to cheat and not telling on each other. I approach the first woman with a meekness that is not feigned. She can either help me or stop me cold. My quest for wooden pencils, postcards with old lithographs, little odd-shaped erasers, off-brand crayons, and other detritus of what’s lumped into “stationery” has led me all over the city and even into some small towns I can get to by train. 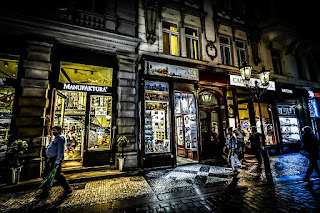 I am sure there are cardboard boxes, stained and water-damaged, full of the most intriguing old stuff, from long before the Communists flattened Czech creativity with their insistence on cheap, utilitarian uniformity (though I like the cheap stuff, too, when I can find it). “I need some pencils,” I say in Czech. This is a phrase I have memorized: “I need” (Potřebuji) .” This is such a common Czech phrase that I can just say the word and point at what I need, or draw a picture if it’s not in sight. 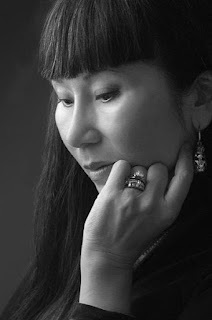 The first woman gives me what I used to define as a challenging stare. No pity for my execrable Czech accent, no encouraging warmth, no hint that we share a common humanity. Marek has convinced me that she is simply looking at me in a normal way, so I forge ahead. “Red or yellow,” I add, spotting some promising ones on the shelves. She turns to the shelves to find a red or yellow pencil. A long minute passes. The other woman looks out at the street with an air of complete indifference. The first woman gingerly picks up a pencil, a red one, and lays it on the counter. It is round, not octagonal, with no words on it. That’s no good, as it could be from anywhere. I want on with a Czech or (better) Russian word in Russian characters. “No, ne,” I say. The English word “no” is “ne” in Czech and is liberally sprinkled through conversations. It can be negative or neutral (a place-holder used like “well,” to indicate you’re not done with your comment). 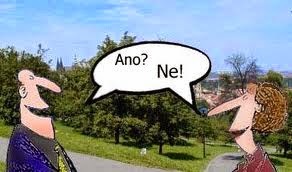 Confusingly, the word “no” is also used by Czechs, sometimes as a negative, sometimes positively as a folksy contraction of “ano,” which means yes. I appreciate the ambiguity, as I don’t want to stop her looking for a red pencil. We are just beginning our journey. Now is the test. I know the famous rule of three: you must refuse something three times before you accept it. Last New Year’s Eve, Marek invited me to his family celebration. We had the New Year’s Eve meal, cooked by his mother and eaten by me, Marek, his dad, his brother Jan, his aunt Mirka and Jarka, the neighbor who is like family. Jarka’s son had made an appearance, the left early to meet some friends at a pub. 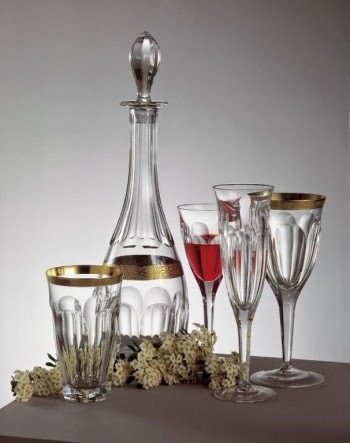 We ate, then talked till midnight, when we toasted each other with champagne in real champagne flutes, brought out from the glass-fronted hutch only for New Year’s Eve and weddings. After the toast, Mirka began to gather her things to go home. The tram had stopped running by then, so she would need a taxi, a shocking expense at 60 crowns to someone whose rent is still 180 crowns a month, in a city-owned unrenovated flat where she had lived for 30 years. “No, no, Mirka, please stay with me,” Jarka begged. Mirka refused twice, but at the third impassioned plea, she relented and went home with the neighbor. So, following the rule of three, I expect that the woman will now show me the pencil she knows quite well that I really want. I have bought enough pencils here by now for her to be the expert on my pencil preferences. I perk up when she disappears into the back room, behind a curtain. Aah, the back room! My Aladdin’s Cave, the place I most long to go anywhere in Prague. I am certain that the battered boxes I dream of are all back there, in tottering stacks unopened since their manufacture in the fabled First Republic, the interwar years when the just-born Czechoslovakia began to build itself into the next Switzerland, a country celebrated for its craftsmanship and beauty. Herr Hitler crushed this dream in 1939, and the triumphant Soviet armies rolled over the dream’s remains in 1945, flattening them into desperate oblivion. Here she comes, with two pencils, my reward for my patience and willingness to play the game her way. 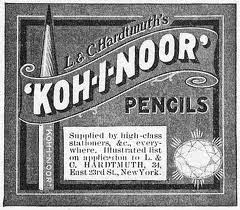 And they are beauties: the red one slim and long, more oval than round, with the word “Koh I-Noor” stamped in flat dark blue; the yellow one quite chunky and round, with “HARDMUTH” incised along its length. “Děkuji vám,” I say, the formal thank-you that I prefer. It’s about like saying “Thank you very much, kind sir or madam,” and I like its ornateness and ceremonial feeling. She hands the pencils to her colleague, who makes out a triplicate receipt on one of those old rectangular newsprint pads, charging me 20 crowns for the two pencils. This is not cheap, about as much as in the US, but I can afford it. The stationery shop is a place for serious purchases which will be used conservatively, the pencils used until you can scarcely hold them. I love the way Czechs hate waste, so different from the US where all is thrown away on a whim. Now for the proper exit. One “Na schledanou” to both ladies, who reply faintly in kind, and I am out the door to my 10:45 AM tutoring session. This one is in the restaurant of the Hotel Olšany so I cross the street and walk across the barren concrete courtyard through the double glass doors into the meant-to-be-intimidating faux-marble lobby which to my American eyes, simply looks shabby and outdated. A sharp right and I am in the restaurant. Irina, my student, sits at our usual table, waiting.